Lindsay Lohan is reportedly negotiating a $2 million deal for reality TV series on Oprah Winfrey’s network. Lindsay Lohan, 27, has allegedly been negotiating the lucrative deal for the past four months, managing to wrangle the huge sum for spilling her secrets in an eight-part documentary for Oprah Winfrey’s OWN. According to TMZ.com, when Lindsay Lohan films the TV specials – after she completes her court ordered 90-day stint in rehab next month – she will be given two assistants to wait on her hand and foot as well as a personal stylist to ensure she looks her best on set. The series will focus on Lindsay Lohan’s past struggles with addictions and fame, as well as her film career and her hopes for the future. Lindsay Lohan is said to have signed the deal with Oprah Winfrey at the Betty Ford Clinic last month – from which she has subsequently been transferring from – even before she was properly on the road to recovery. Her mother, Dina Lohan, is thrilled her daughter is set to follow in the footsteps of Lance Armstrong and Rihanna by being given a chance to tell Oprah Winfrey her story. Oprah Winfrey’s network announced the news on Friday that it would be airing an eight party reality series after Lindsay Lohan emerges from court enforced rehab. In an attempt to distance the program from the negative connections connected to reality television, OWN have dubbed the eight-part television event a docu-series. Entertainment Weekly revealed that the cable channel had not only secured the rights to the first interview with Lindsay Lohan after she finishes her 90-day stint at the Ciffside centre in Malibu, California, but the likely to be highly anticipated series as well. Lindsay Lohan’s fans will have to wait a lot longer for the docu-series, with the spokesperson confirming it will not air until 2014. However, those expecting an inside view of the shambles the star’s life has become since her multiple arrests may be disappointed. The eight-part series is sold as more of an inspirational show than a side show, described as following “the actress as she works to rebuild her career and stay healthy”. 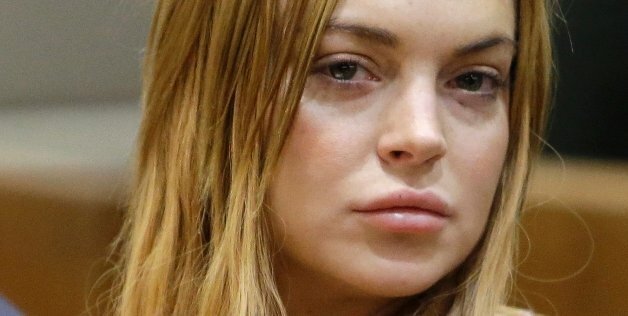 Lindsay Lohan, who turned 27 last week, is set for release from rehab on July 31.